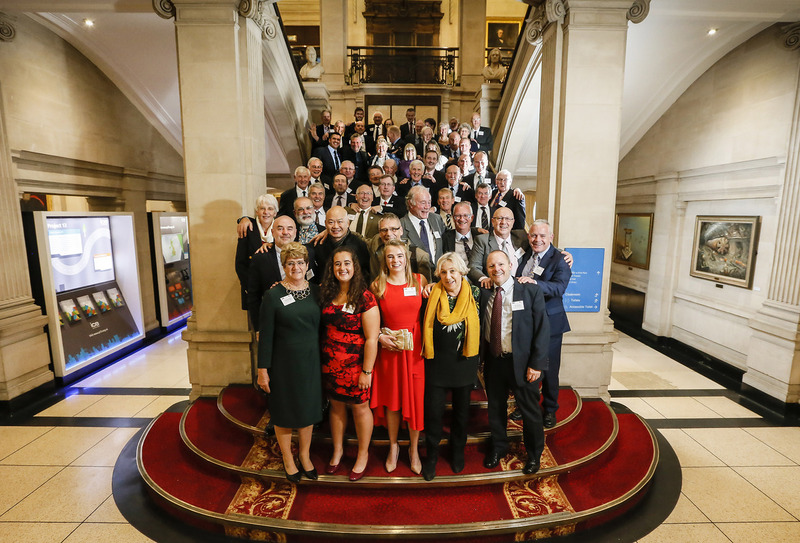 Some 57 volunteers were recognised for their exceptional dedication and achievements in boating at the RYA Volunteer Awards on Friday (16 November). 49 awards were presented by Her Royal Highness The Princess Royal, President of the RYA, at the prestigious event, held at One Great George Street, Westminster, London. Watch a video of the day. The RYA Volunteer Awards are recognised across four categories: the RYA Awards, RYA Community Awards, the Francis Elkin Award and the Family Award. Recognised for their commitment and services to boating and the RYA at a regional level were Dafydd Griffiths, Mike Samuelson and Vincent Wang. Vincent, whose tenacity and enthusiasm to develop boating in his country has resulted in making China the first country to deliver RYA training in a foreign language, travelled from China to attend the awards. He commented: "I have to say, I never dreamed of being nominated for something like this. For me, it's an award going to all the volunteers in China who are dedicated to driving the next generation onto the water to do more sailing." The RYA Community Awards are presented to outstanding individuals for their commitment and services to boating at club or grassroots level. Individuals are nominated by their club, centre or organisation and awarded across three categories: Lifetime Commitment, Outstanding Commitment, as well as two Youth winners. Youth recipient, Poppy Penhaul Smith said: "It was a bit of a shock to be nominated. I wasn't expecting it, but it's really nice to know how valued you are and how much my club know I help out." Laura Carrick was presented with the 2018 Francis Elkin Award, awarded each year to an individual who has made a significant contribution to enabling people with disabilities to become involved in sailing. Laura has volunteered for charity, able2sail for more than 12 years and was recognised for her unfaltering commitment. Through volunteering Laura has seen many young people, often from socially isolated lives and with few prospects become confident, qualified and competitive sailors. She said: "I was so touched, really thrilled, really excited. I'm accepting the award on behalf of all the volunteers because I love being part of able2sail, I love the atmosphere and the sense of community, volunteering is great fun." The RYA Family Award is presented to a family group deserving of recognition for the impact they have made, both as individuals and as a family. This year was it was awarded to three generations of the Riley family. The Riley family have been involved in West Kirby Sailing Club (WKSC) since 1947 when grandfather Gerald became a junior member. Alongside Gerald, sons Chris and Tim, daughter Helen and grandchildren Jemima, Sam and Nick, are described as "the epitome of volunteer spirit" and as a family have been at the centre of WKSC for more than 70 years. Speaking on behalf of the family, son Chris commented: "It was a complete surprise and a huge honour to be picked out amongst all the families, not just country-wide but also within our own sailing club – there's a lot of people that make a huge contribution." RYA Director of Sport Development, Alistair Dickson commented: "The RYA Volunteer Awards, sometimes known as the MBE's of our sport, recognise the outstanding contributions made by volunteers nationwide. "Today has been a fantastic opportunity to say thank you to the people that go above and beyond, giving that little bit extra to ensure others can enjoy the sport we all love. Volunteers really are the lifeblood of boating and it's an honour to reward their efforts and give something back."